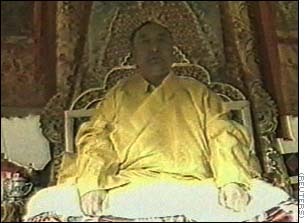 Panchen Lama: Tibet's living god or puppet ruler? BEIJING (CNN) -- At the ripe age of 11, Gyancain Norbu finds himself at the center of a weighty theological and political dispute. The boy has recently returned from seclusion in Beijing to the land of his birth to claim his place in Tibetan society as a living god -- the reincarnation of the 10th Panchen Lama, Tibetan Buddhism's second-ranking religious leader. But many Tibetan exiles -- including their top religious leader, the Dalai Lama -- consider the boy to be a pawn of the Chinese authorities who took over Tibet in 1959. They say China is attempting to indoctrinate a new generation of Tibetan religious leaders through a puppet ruler. 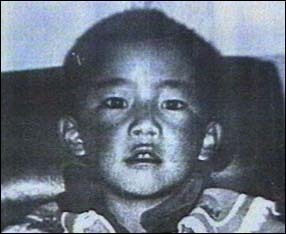 When the last Panchen Lama died in 1989, a search was launched, according to Tibetan Buddhist belief, to find the child in whom his soul had been reborn. Beijing's government- sanctioned search team selected Gyancain Norbu as the 11th Panchen Lama. 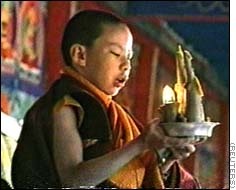 Tibetan exiles say he is a false god, that the real Panchen Lama is another boy. From exile in India, where he has lived for 40 years, the Dalai Lama has named Gedhum Choekyi Nyima the real Panchen Lama. 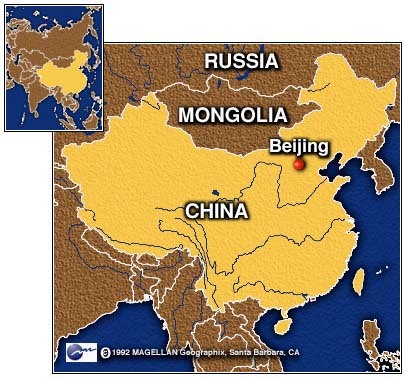 But that boy is now under detention somewhere in China, and Hao Shiyuan, of China's Institute of Nationality Studies, says the Dalai Lama's opinion no longer counts. 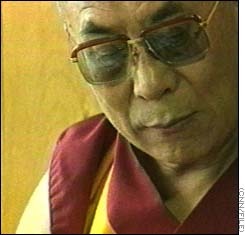 "The Dalai Lama no longer lives in the motherland, and constantly does things which are harmful to the motherland," Hao said. "So of course, the reincarnation chosen by him could not be accepted." Tibetan monks consider Gyancain Norbu to be a Chinese puppet, being used as a pawn to control the next generation of Tibet's religious leaders and the hearts and minds of the faithful. Because of the controversy, the Beijing-backed Panchen Lama is kept under close guard: Visiting journalists weren't allowed to see him, and were discouraged from filming even his motorcade. Tibetan authorities say the security is needed to protect the boy from the Dalai Lama's agents, who want to restore the mountain land's independence. "In Tibet, the splittist and anti-splittist struggle is continuous," said Nema Tsering, an official of the Chinese- allied Tibet Autonomous Government.